I draw for a living. Pretty cool. But now I am trying to make games for a living. Even cooler. 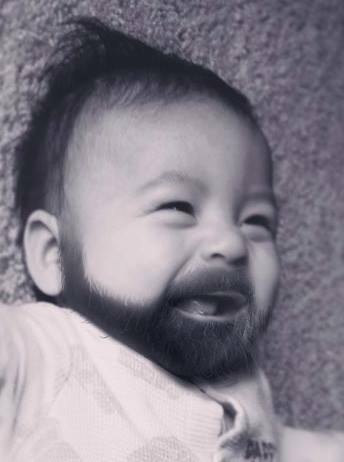 Picture of my son with a beard. The COOLEST. Go through the door without getting hit... duh. You sacrificed yourself to save your comrades against all odds. Be sure to Fire Everything! You only got 10 seconds to reach the blue portal before you reset. 8 levels total! Teleport before the giant red orb eats you alive. Can you get a high score of 81? Dare ya.